Rua Coronel Inácio Vale, 8847, 59090-040 Natal, Brazil. 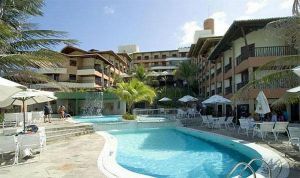 The Rifoles Praia Hotel Resort is located next to the heavenly beaches from Brazil, in Ponta Negra. This luxury and exclusive establishment with 204 rooms offers a sophisticated atmosphere, decorated with exclusively designed works of arts. 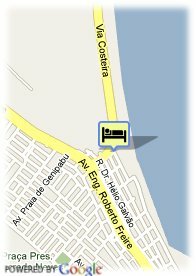 Located at the foot of the beach, the hotel disposes of a full range of services you can enjoy with your family. It is a perfect option to spend your holidays, due to its outdoors pools, relaxing gardens and a beauty center with sauna and Jacuzzi. The business clients will find nearby a full Business Center with three completely equipped rooms, an ideal place to celebrate any kind of reunions, conventions, events and seminaries, with capacity for until 500 people. You can taste in its restaurant, Drink, a great menu with products from the international cuisine, while contemplating the unique views over the sea. All this, in an excellent environment, surrounded by varied shops, pubs and restaurant, a magnificent place for the sea lovers. WiFi is available free of charge. Free covered parking at the hotel, Free open air parking at the hotel. When the reservation has not been used and no cancellation has been made at the hotel: 1 night will be charged. Children less than 7 year(s) old: free of charge. Visa, Diners Club, American Express.